In the previous post, i have describes the steps to setup web server that running on Nginx and PHP5.4 (PHP-FPM). The setup and configuration work well with the WordPress site. This article will describe how to speed up the existing NGINX + PHP web server with one of the popular web accelerator called Varnish Cache, also known as caching HTTP reverse proxy. Varnish cache will speed up the website delivery to the visitor and reduce the CPU time, less database requests and file lookups. This steps to setup varnish has been tested on CentOS 6, CentOS 7, Oracle Linux 7 and RHEL 7. Varnish is a HTTP accelerator that can run side by side with either Apache or Nginx web server. 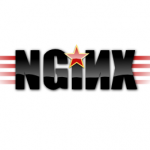 In this tutorial, i will setup Varnish to run on port 80 while NGINX on port 8080. 1. Setup Nginx, PHP5.4 (PHP-FPM) as web server. Refer to this tutorial. Below configuration for /etc/sysconfig/varnish and /etc/varnish/default.vcl say that NGINX are running as the backend server on localhost at port 8080 while Varnish will run in front of it listening on port 80.